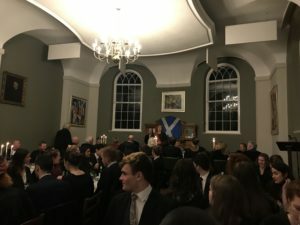 Burns Night Formal last Thursday was fantastic! 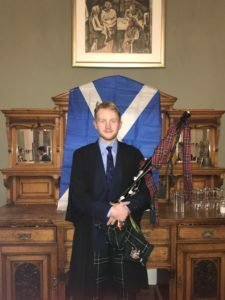 Freddie Bearn began the evening by piping in the guests, and Alex Milne gave a wonderful rendition of ‘To a Haggis’ and subsequently the meal began. The Catering Team did a marvellous job; the haggis and whisky gravy were delicious. Once the meal had finished, Richard Penney delivered an excellent Toast to the Lassies and a witty retort was made by Isobel Clarke in her Toast to the Laddies! 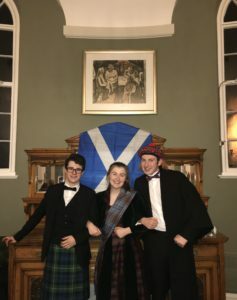 Burns Night was a great opportunity for everyone to join in the evening’s jollities and to display their best tartan gear. Mention must go to Sean Gallagher Gill who managed to sprout a bob of red hair for the evening. 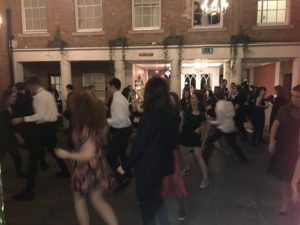 The night finished with a jolly Ceilidh which was enjoyed by all!